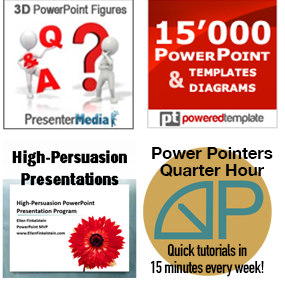 PowerPoint makes simple object rotations very easy. You can use an object’s rotation handle to drag an object around its middle. When you like what you see, release the mouse button and you’re done. To rotate to 15° increments, press the Shift key while you drag with the rotation handle. In this way, you can reotate to 0, 15, 30, 45, 90 degrees — and so on. That is often enough. 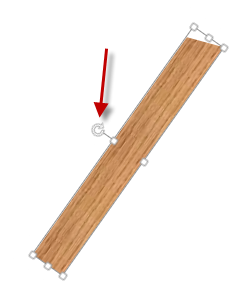 For a 90° rotation, left or right, select the object and click the Format tab that appears. Click Rotate in the Arrange group and choose Rotate Right 90° or Rotate Left 90°. Select the object and click the Format tab that appears. Click Rotate in the Arrange group and choose More Rotation Options. 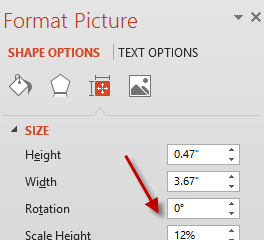 In PowerPoint 2007 and 2010, you’ll be in the Format Shape dialog box, with the Size item displayed. In PowerPoint 2013, you’ll be in a task pane, with the Size item expanded. Enter the desired rotation in the Rotation text box and press Enter. In PowerPoint, positive rotation is clockwise. You can enter a negative number to rotate counterclockwise. Close the task pane or dialog box. Here’s an example of an object at a 70° rotation. Thanks Ellen – this is a very succinct post, yet it covers lots of tips. The tip about holding down Shift is really handy. That’s a great way to rotate different objects by a consistent amount. As you know (but others might not), you can save time by right-clicking and choosing Size and Position instead of using the Format tab. That not only saves a couple of clicks, more importantly it saves a lot of “mouse miles” spent going all the way up to the Format tab, then across to Rotate. Is there a way to rotate an object by less than one degree? I cannot get past the one degree limitation. Thank you. That works well for degrees above 1 or below -1. In my case I am just trying to straighten an image that is a little less than -1 degree off. 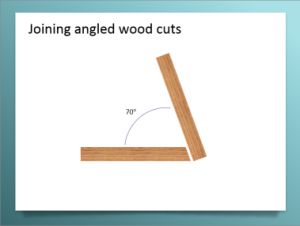 If I can save the image already off by 90 degrees then then perhaps I can rotate it 89.5 degrees using your suggestion. Here I go and thanks again. If it’s an issue of the image being in the presentation that someone has already rotated, why not simply place the image a second time? It ought to go in with zero degrees of rotation. Yes, that’s true, but often you don’t have access to the presentation (maybe someone else created it) or it’s just quicker to rotate it than to find it again.